Creating Documents in Word, Excel, etc. Click the blue boxes on the left to explore different topics in technology or computers. This Library Guide will point you to helpful sources that explain how to use computers or other devices, search the Internet, stay safe online, create digital documents, have fun with technology, and more. 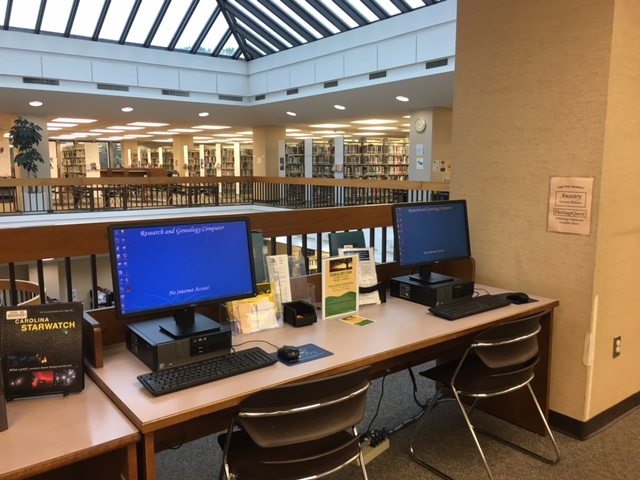 "Technology-Related Services at the Library," contains a list of services the library provides to connect and assist you with the technology you need to accomplish your goals. Pictured above: Research Computers at the Main Library. 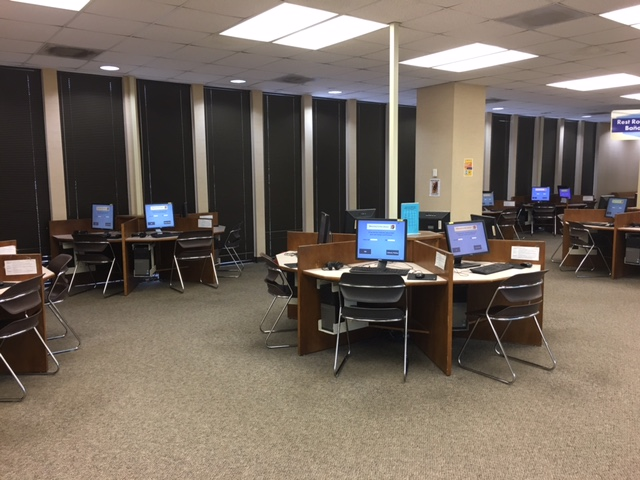 Pictured below: the Public Access Computer Center at the Main Library in Gastonia.